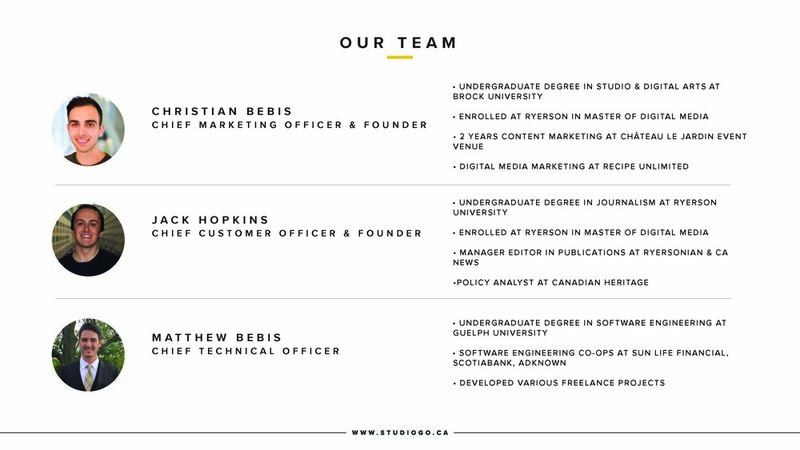 StudioGo is a peer-to-peer location scouter, designed to fit the wide range of needs creative professionals have. 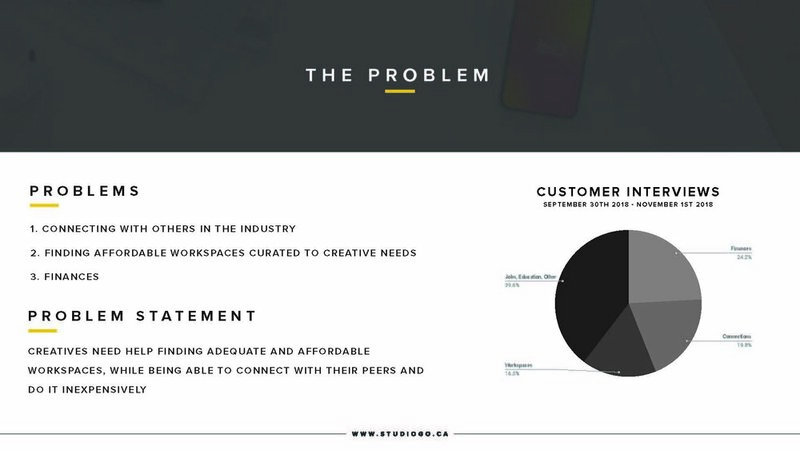 The Solution gives creatives a platform to share their creative insights through a peer-led community. providing all users with a variety of locations to suit their creative needs. StudioGo is a thesis project created by Christian Bebis & Jack Hopkins. I am in charge of the overall design, user research & development of the product. 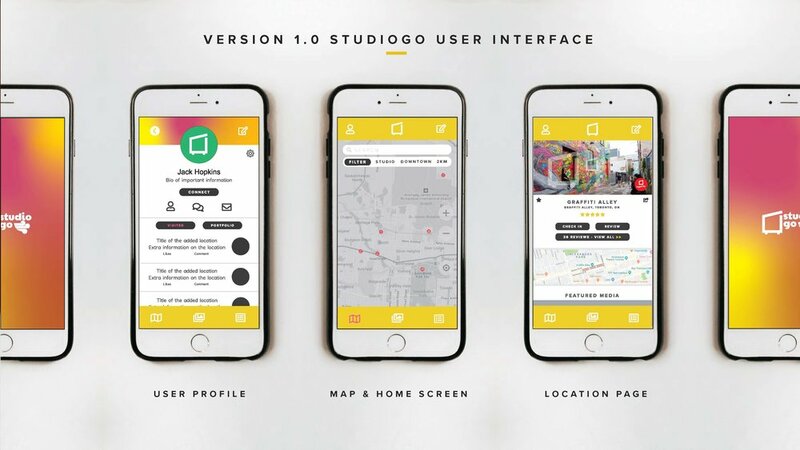 StudioGo puts the power into the hands of the user by offering a peer-to-peer location scouting community. It provides feedback, ratings, and an opportunity to speak with the industry members that have been there before. 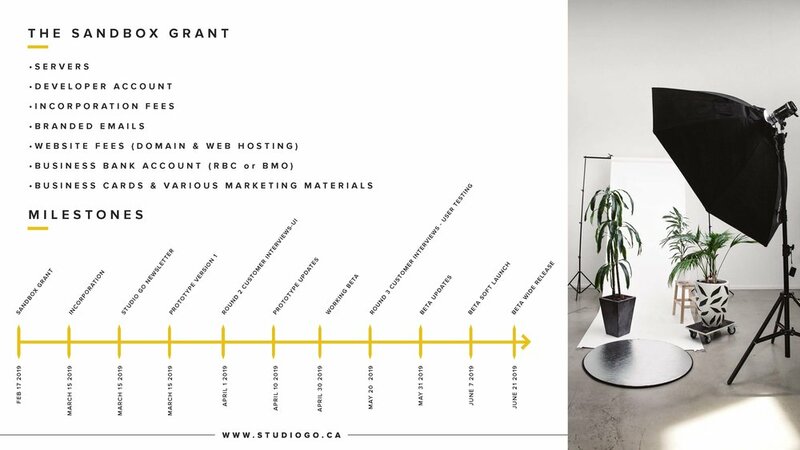 Creativity is not one size fits all, and StudioGo allows creative to find the space curated to their craft. So find your spot, and ready, set, GO! Moodboard includes StudioGo’s Logo, Colour Palette, Fonts, In-application Icons, Keywords, Photographs & Logo Variations. Photographs shot for social marketing purposes. Created, shot & edited by myself. Various videos used to promote the pre-launch of the application. These videos are featured in Instagram stories and highlights.